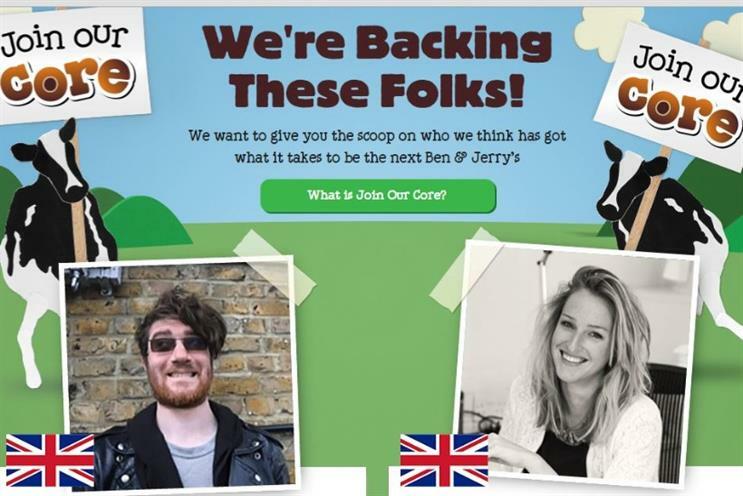 Unilever owned ice cream brand Ben & Jerry's has selected UK two social start-ups to invest in as part of its 'Join our Core' campaign. The brand will invest 20% of the cash each of the start-ups need to hit their crowd funding target and will provide PR and mentoring to help them grow. The move is part of the brand's 'Join our Core' campaign, which was launched in 2012 and aims to support entrepreneurs while building the brand's ethical positioning. Ben & Jerry's invited social entrepreneurs across Europe to pitch values-led venture ideas for the chance to win tools to help them kickstart a crowd funding campaign. It has selected We Walk The Line, a Hackney based start-up that sets up bicycle coffee stands across London, hiring people that have struggled to get back into the workplace. It has also picked GravityLight, a company that aims to give light sources to the developing world that require no sunlight or energy source. Ed Shepherd, social mission manager at Ben & Jerry’s, said: "We’re excited to announce the winners of our ‘Join Our Core’ campaign and play our part in taking these values-led ventures to the next level. "We are, and always have been, a values-led business with a social mission at our heart.... We can’t wait to shout from the rooftops to help kick-start their campaign."